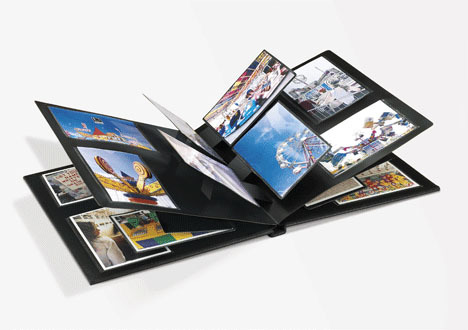 (No More) Photo Album Memories? The other day I made a photo album as a gift for a special friend. She has been a friend of mine for over 30 years; we met as next-door college dorm neighbors. I had a lot of photos to choose from, many were taken pre-digital era, of course…so had I not had the photos I could have still dug out the negatives and made prints (well, assuming there are places in the world where you can still make prints from negatives, I suppose). I think about the young people today, with their total reliance on their smart phones for photos…what will they have when they get older and want to look back at their youth? My kids take a lot of pictures. But those photos almost always exist on a cell phone or smart phone, or perhaps on a social media page. Even after trips or events, those photos do not ever get moved to a more long-lasting depository. They may get passed around and shared via Instagram, Facebook or otherwise posted…but one wonders if those could be easily found in 20 years…or even 10 years…or even 2. And although the experts do warn that photos posted on the Internet will remain there forever, and possibly “haunt” you later on in your life, what if you actually wanted to make an album’s worth of picture memories from your youth? Will you be able to? It is funny, that one of the favorite apps of the day, SnapChat, is an app that let’s you share a photo which then disappears in a few seconds. As someone who has looked back on old photos with great happiness, it is sad to me that some of today’s youths’ favorite “real-life” moments are actually created only to be gone forever. The album that I made my friend was an awesome trip down memory lane for both of us. Something she can share with her kids, something that I can share with mine. And something that we can giggle and laugh about, having not seen some of those photos in 30 years. I would have never wanted to have been in the situation where none of those pictures still existed. Sure, the memories would still be there rattling around in my old brain (for another few years, hopefully! ), but those less than vivid memories just aren’t the same as actually seeing those bright, very young faces, looking so happily at the camera as they were starting out on lives that would intersect for years to come. Today’s youth needs to whip out a camera now and then, take a photo and make an actual print. Perhaps some technical whiz-kid will figure out how to make that easy, as I don’t think today’s youth will give it much thought unless it is something that happens by one stroke on their smart phone. This entry was posted in College-age kids, Friendship, memories, Smart Phones, Social Media, Teenagers and tagged photo album by dblum4blog. Bookmark the permalink.